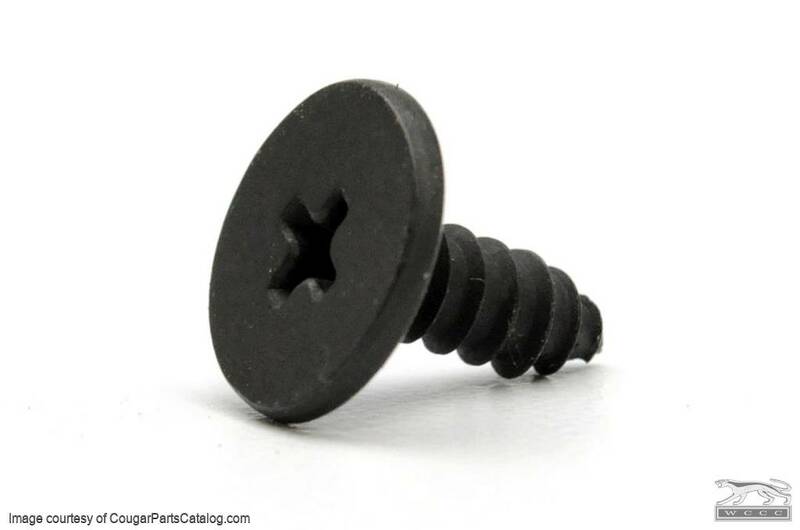 Reproduction Phillips head screw that is used in a variety of applications on the Mercury Cougar or Ford Mustang. 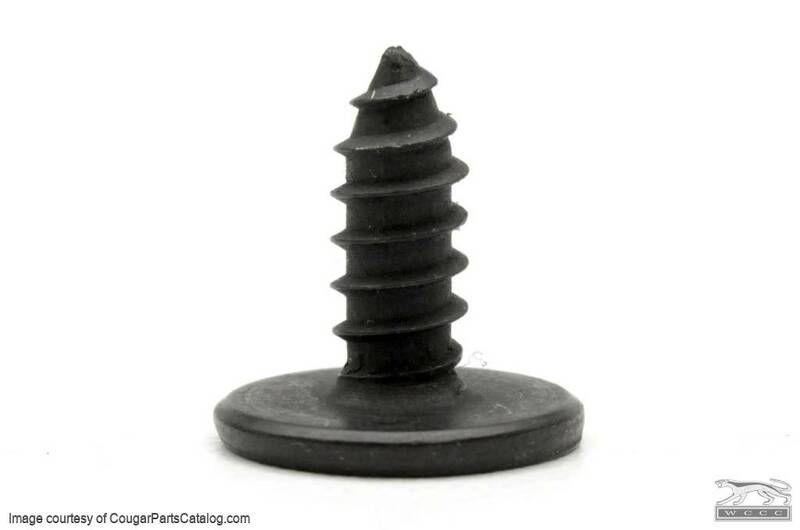 This phosphate & oil (gray-black) colored unit features a wide flat head and is used for attaching the stainless roof side weatherstrip rail. However, it has other interior applications as well. Sold individually.